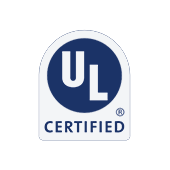 SLD Laser, a world leader in commercialization of visible laser light sources, today announced its LaserLight SMD product line has achieved UL certification for the solid-state lighting safety standard ANSI/UL 8750. These LaserLight products won top honors at the LightFair exhibition in Chicago in May in the category of LED / OLED, Chips & Modules. Additionally, the products recently received Gold Innovators Award from Laser Focus World, announced at theCLEO conference in San Jose, CA.